Olympic Park Tripboat Winding Area is a minor waterways place minor waterways place place on the waterways major waterways place village town city on the Lee and Stort Navigation - Bow Back Rivers (Waterworks River) between Waterworks River - River Lea Junction (2½ furlongs to the northwest) and Waterworks River - Three Mills Wall River Junction (3½ furlongs to the southeast). The nearest place in the direction of Waterworks River - River Lea Junction is Stratford Walk Bridge (Waterworks River); 1 furlong away. The nearest place in the direction of Waterworks River - Three Mills Wall River Junction is Thornton Bridge (Connects the Olympic Aquatic Centre with the Arcelor Mittel Orbit); ¼ furlongs away. Queen Elizabeth Olympic Park, London, E20 2ZQ — 153 yards to the north. Olympic Park, Stratford, London, E20 2ZQ — 149 yards to the north. Stratford — 1136 yards to the east. 4 Chestnut Plaza Ground Floor, London, E20 1EJ — 488 yards to the northeast. Westfield Stratford Unit 11101111, Stratford, E20 1EJ — 540 yards to the northeast. 2 Chestnut Plaza Unit R1005, Stratford, E20 1GL — 480 yards to the northeast. London, E20 1 — 664 yards to the northwest. 63 Broadway, Stratford, London, E15 4BQ — 1171 yards to the east. London — 1173 yards to the southwest. Westfield, Stratford City 2nd Floor, London, E20 1ET — 546 yards to the northeast. Westfield Stratford, London, E20 1EL — 745 yards to the northeast. 303 The Loft, London, IG5 0AN — 547 yards to the northeast. 146-148 The Grove, London, E15 1NS — 1289 yards to the northeast. London — 1281 yards to the east. Queen Elizabeth Olympic Park, London, E20 2ST — 435 yards to the west. 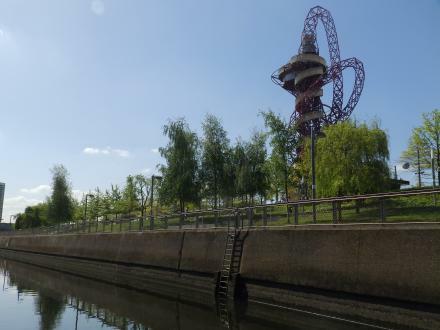 Olympic Park , Stratford, London, E20 2ST — 420 yards to the west. London, E13 9AZ — 371 yards to the west. Stratford, London, E15 2 — 634 yards to the north. Northern Retail Lifeline, London — 1463 yards to the north. 21 Station St, London, E15 1AZ — 691 yards to the northeast. 58 The Street, Westfield Stratford City · London, United Kingdom, London, E20 1EN — 564 yards to the north. Stratford — 840 yards to the north. West Ham — 1568 yards to the east. Bow — 1524 yards to the southwest. 6 Chestnut Plaza, Stratford, W12 — 478 yards to the northeast. 1A Romford Road, London, E154 — 619 yards to the northeast. Queen Elizabeth Olympic Park, London, E20 2ST — 446 yards to the southwest. London, E20 3HB — 951 yards to the northwest. London, E9 5 — 979 yards to the west. International Way, London, E20 1 — 743 yards to the north. 1401 yards to the northwest. 383-387 HIGH STREET, London, E15 4QZ — 804 yards to the east. London, E15 2 — 858 yards to the north. London, E3 2 — 914 yards to the west. 1 Maryland Point, E15 1PF — 1445 yards to the northeast. London — 743 yards to the northeast. Westfield Stratford City 2nd Floor, London, E20 1 — 546 yards to the northeast. 2 Stratford Place, London, E20 1EJ — 623 yards to the northeast. Westfield Stratford City, 2 Stratford Place, Stratford, E20 1 — 622 yards to the northeast. Queen Elizabeth Olympic Park, London, E20 2AD — 135 yards to the west. Queen Elizabeth Olympic Park, London, E20 3HB — 960 yards to the northwest. Westfield, London, CR9 4 — 667 yards to the northeast. 81 The Mall, London, E15 1 — 910 yards to the east. 54A Broadway, London, E15 1NG — 903 yards to the east. Unit 69 Westfield Stratford City, Montfichet Road Stratford, London, E201 — 690 yards to the northeast. Olympic Park, Montfichet Rd, London, E20 1EJ — 611 yards to the northeast.